Master Workshop: How to Assess Social Impact? In Master Workshop “Green Startups Go” held in August, green entrepreneurship novices gained a lot of tips on how to set up a social enterprise, a non-profit organization or a charity from the master practitioner speakers. In this Master Workshop, they learnt the rules, methods and the importance of assessing and measuring the social impact of various kinds of projects. The workshop was held on 30th September in Good Lab@Prince. 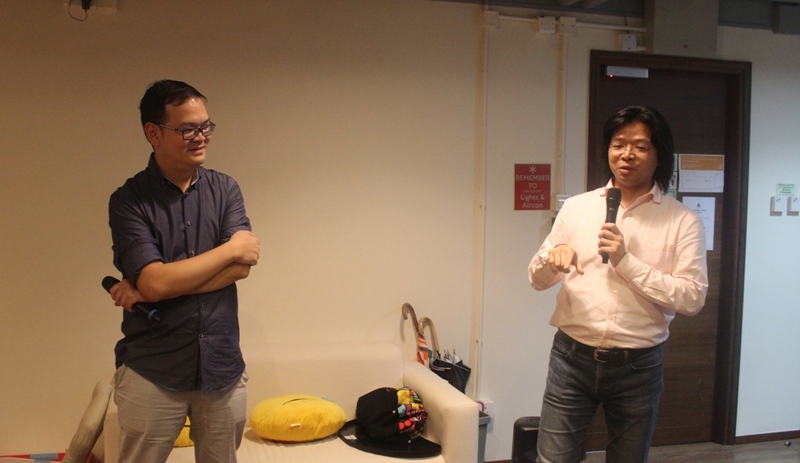 The two speakers were Dr Terence Yuen, Founder and CEO of the Hong Kong Institute of Social Impact Analysts (HKI-SIA), and Mr Keith Wong, Chief Officer (Social Development) of Policy Research and Advocacy, The Hong Kong Council of Social Service (HKCSS). There are different models of Social Impact Assessment (SIA), and Mr Keith Wong shared with us the one adopted by the Centre for Social Impact of HKCSS. Founded in 2011, this Centre has already performed twenty SIAs for various groups and organizations in Hong Kong in the past five years. According to Mr Wong, an assessment framework has to be set before an organization can measure the social impact of its project(s), just like designing the syllabus before an examination. Although elements that fall outside the framework, cannot be accessed, but the framework itself is enough to reflect the social impact of the projects. Mr Wong went on to explain the width and depth of such a framework. Indicators of assessment would usually include the project’s impact on its stakeholders, its sustainability, whether it generates income, and whether it helps to reduce social cost, etc. The Centre also pays special attention to the impact on stakeholders often ignored in usual impact assessments, such as the side benefits enjoyed by family members of the aid recipients. Mr Wong used the Rotary Club Mentorship Program as an example to illustrate the practice of SIA in reality and the trade-offs an organization has to make due to resource limitations. The Hong Kong Institute of Social Impact Analysts (HKI-SIA), an affiliated member of Social Value International, was founded in Hong Kong three years ago. It functions like the Institute of Certified Public Accountants, except that what it does is not financial but social values accounting. According to Dr Terence Yuen, founder and CEO of HKI-SIA, organizations have to identify their aims of conducting a social impact assessment before they can find a suitable assessment model. They also have to think thoroughly whether they really need to perform an SIA, and how and where they wish to use the results. Helping the organization to make better decisions in future may be one reason. Dr Yuen pointed out that there are two types of assessment -- one that translates social impact into monetary terms; and the other one that focuses on intangible benefits. B Crop is an example of the latter. He also reminded us that only comparison can make an assessment meaningful, such as a performance comparison with the previous year, or a comparison with other projects of a similar nature. An organization can improve its performance through learning from these comparisons. Dr Yuen went further to explain the common questions facing the project managers during an SIA and the various principles of assessing social value. The participants enjoyed this Master Workshop very much and were keen to raise questions. Jockey Club CarbonCare Open Innovation Lab (COIL) has incubated several Innovation Teams in the past 18 months. COIL wishes that members of the Inno Teams and other green entrepreneurship novices, after listening to the speakers of the two Master Workshops, would become more confident and innovative in meeting the challenges of starting up their new ventures and contribute to the development of a zero-carbon economy in Hong Kong.